Ireland gave 0.47 per cent of its GDP in development assistance in 2012, well below the UN target of 0.7 per cent. IRELAND’S CONTRIBUTION TO overseas development projects has reduced by nearly €100 million since 2009, and remains well below the UN target of 0.7 per cent of GDP. Money spent on Official Development Assistance (ODA) in 2012 was just under €629 million, or 0.47 per cent of Ireland’s Gross National Product (GNP). Responding to a Parliamentary Question from Fianna Fáil’s spokesperson on Foreign Affairs, Brendan Smith, the Minister of State at the Department of Foreign Affairs and Trade, Joe Costello, said that government had continued to provide “significant financial allocations to Ireland’s development aid programme”, despite “unprecedented economic difficulties”. As the chart below shows, the amount spent has decreased year-on-year since 2009, and is down over €93 million over the four-year period. 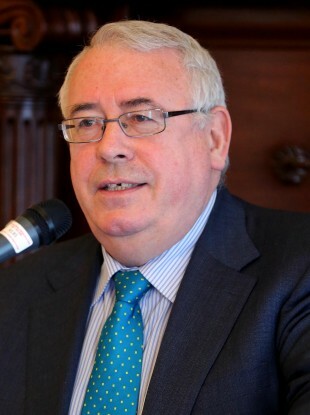 Making reference to the recently launched government policy on international development, called “One World, One Future”, Costello said that government remained committed to meeting the UN target. “However this can only be achieved when economic circumstances permit and in the meantime we will endeavour to maintain aid expenditure at current levels,” he said. Email “Ireland’s overseas development funding continues to drop, remains below UN target”. Feedback on “Ireland’s overseas development funding continues to drop, remains below UN target”.